While I was working on the pattern I needed to have a plain fabric version to show how striking it can be even without the embroidery. 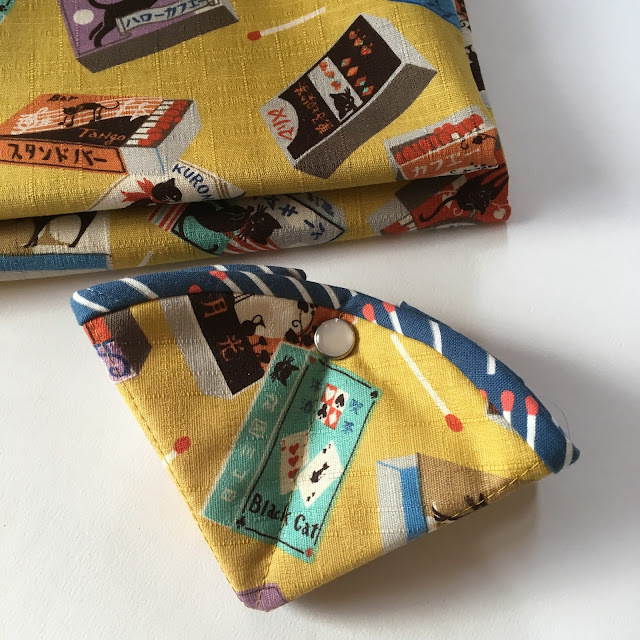 Of course that provided an excuse to pick out some of my favourite fabrics! 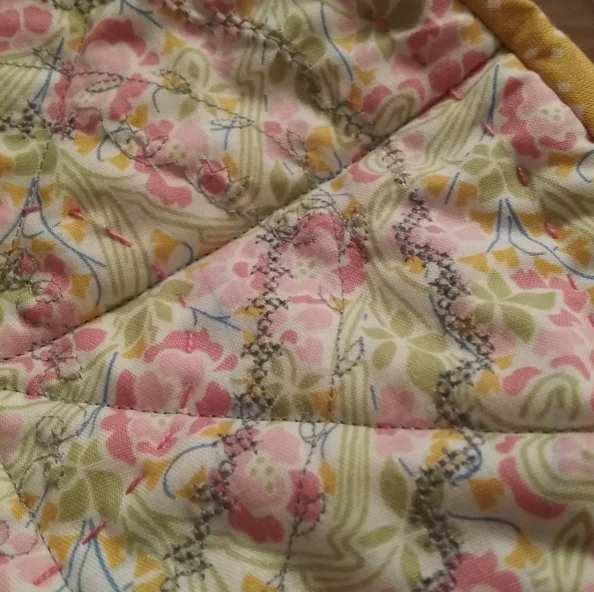 I can't get enough of matches on fabric. 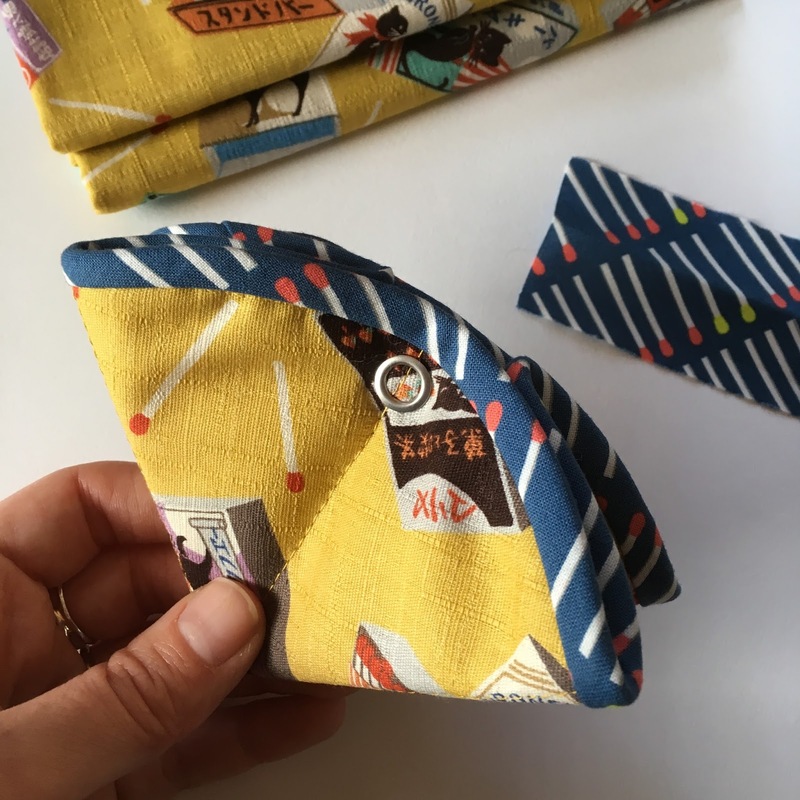 The binding is Meet Your Match, Moonlit by Rashida Coleman-Hale, I also have it in the Goldenrod colourway but that literally blended in with the matchboxes! 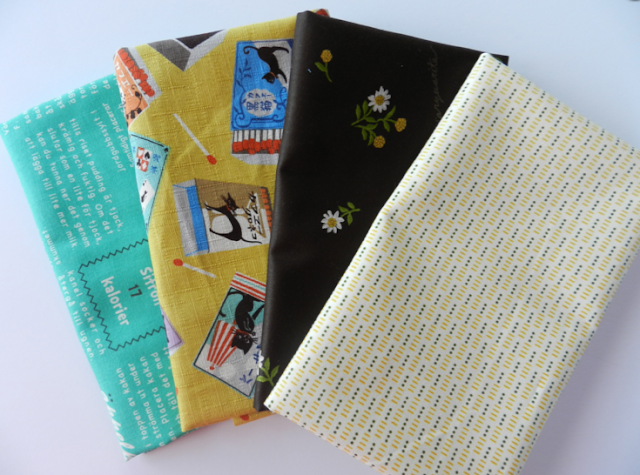 A mixed bundle of 4 fat quarters (18″ x 22″). 100% cotton. Fabrics included: Springs Creative – Netherlands Ditsy Cream, Yuwa – Brown Dear Marguerite, Cosmo – Cats & Matches, and Kokka – Lighthearted Swedish – Teal. It is so exciting - a bundle with my name literally on it!! To get a Lucy Bundle, click here! I love Lucy! 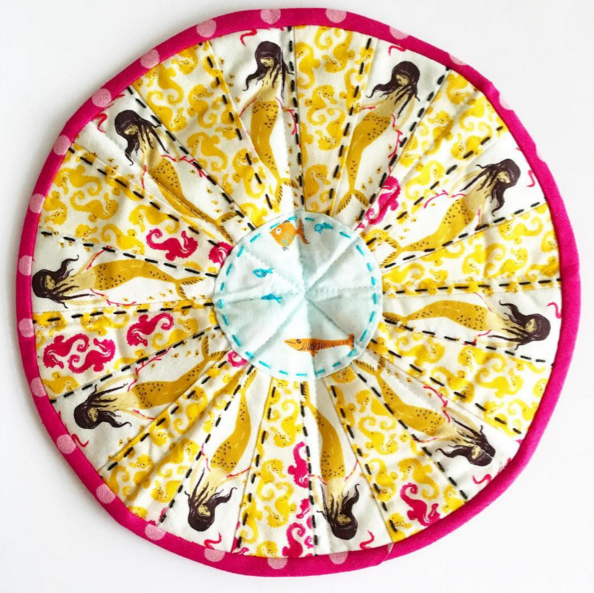 And Collette of Poppy Poochie cleverly combined hand stitching and machine embroidery to embellish her pretty Liberty version. 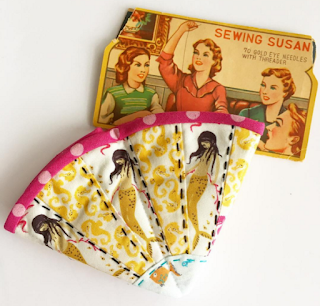 It is fun using different stitches on your machine and this is a terrific way to use them! 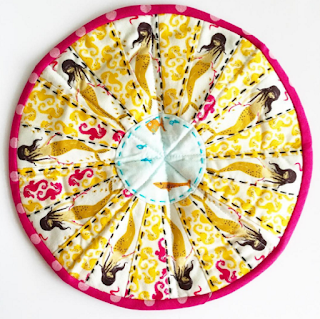 To celebrate the launch of the Stitchy Pie pattern I am offering 15% off until Saturday 9th April! The discount has already been applied to the price so there is no code necessary. 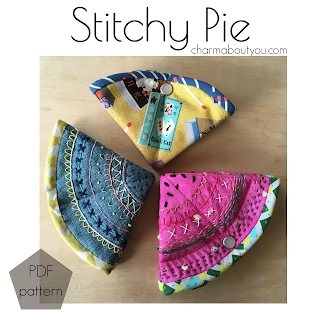 Click the link below or visit my Etsy shop to purchase the Stitchy Pie pattern. The PDF pattern is instantly downloadable after you complete your purchase. Oooooo the Mendocino one has my heart! 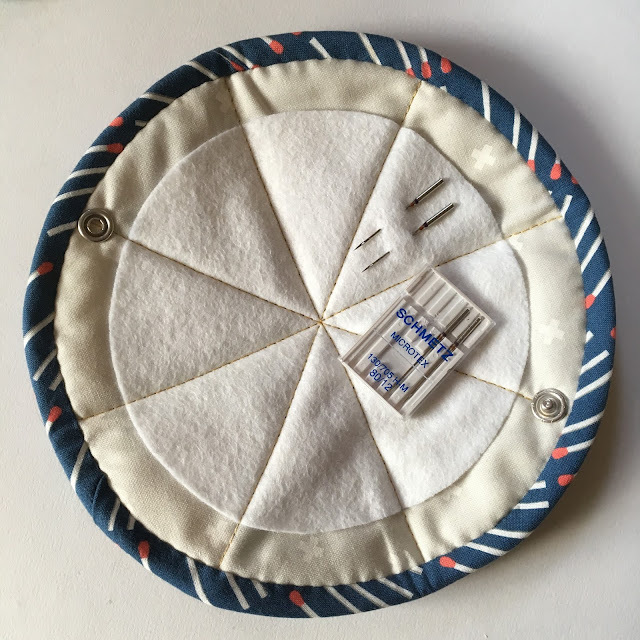 This is such a cool design for a needle pouch. What a cute pattern! Thanks for linking up with TGIFF! 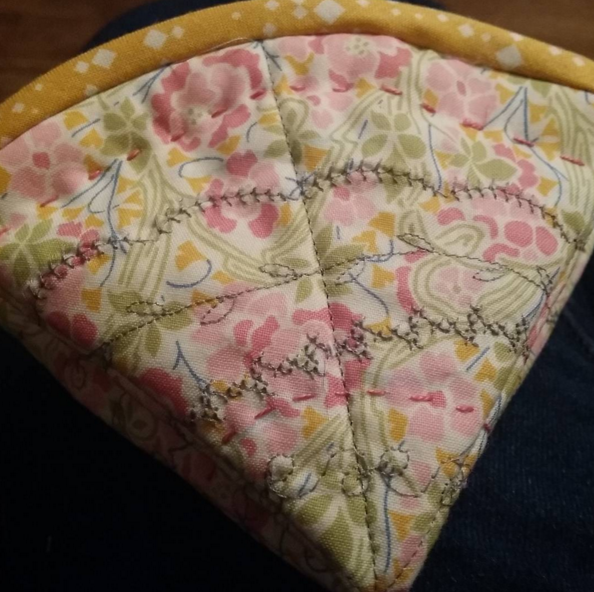 Such a cute pattern! Thank you for the discount! I love the top fabric in your bundle!